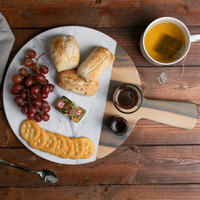 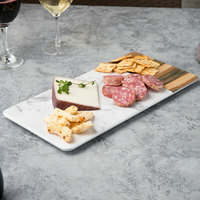 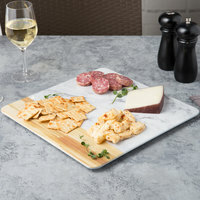 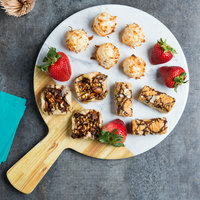 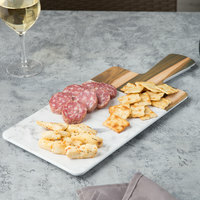 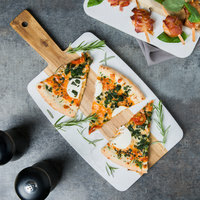 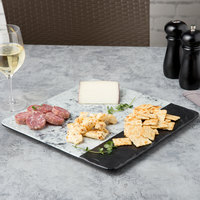 Marble and Acacia Wood Serving Board - 15" x 7 5/16" x 1/2"
Marble and Acacia Wood Serving Board - 11 1/4" x 7 1/4" x 1/2"
Marble and Acacia Wood Serving Board - 15 7/8" x 6" x 1/2"
Marble and wood serving boards make the perfect backdrop for charcuterie, cheese, and other appetizers. 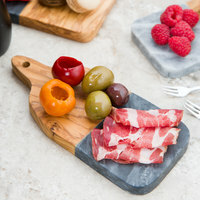 These products are made with beautiful materials that are sure to fit in at any modern, rustic, or farm-to-table establishment. 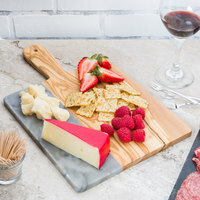 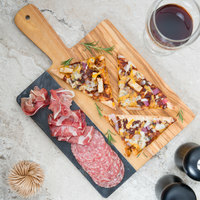 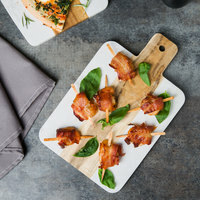 You can even place these boards in your refrigerator before use, and the marble portion will help keep meat and cheese at food safe temperatures. 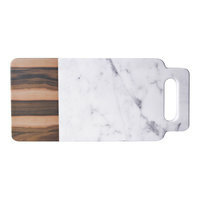 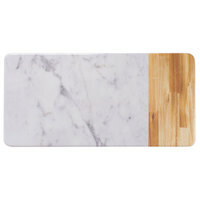 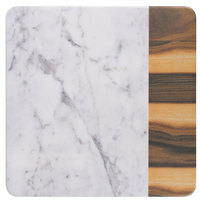 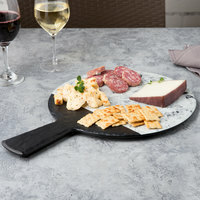 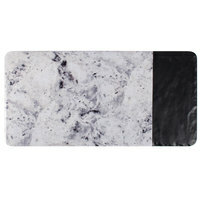 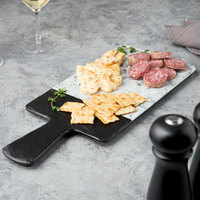 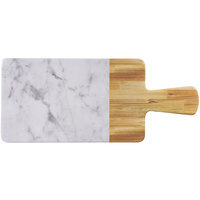 We carry marble and wood serving boards in both natural and faux materials, so you can choose based on your needs. 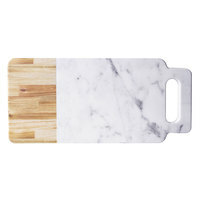 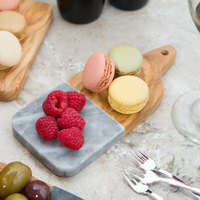 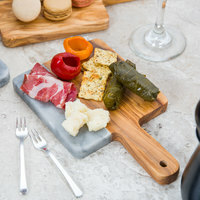 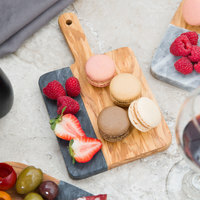 Natural serving boards are made with real marble and wood, giving them an authentic look and hefty feel. 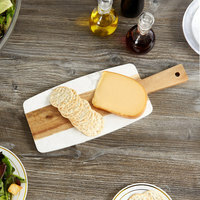 Faux boards are made with melamine, so they’re lighter and easier to clean than natural boards.